No entry fee! All students will participate in this heart-healthy, school-wide event. Optional Fundraising—You get 100% credit! Students have the opportunity to collect pledges from sponsors, which can be for a fixed amount or per lap. 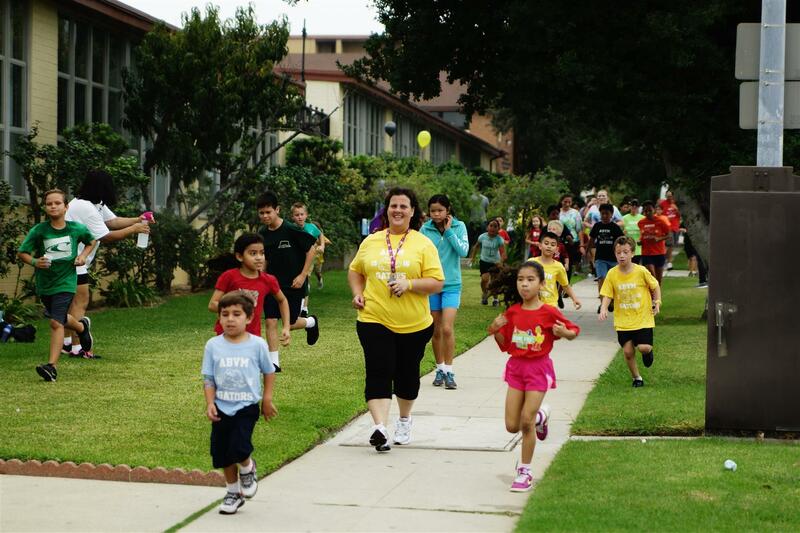 100% of the Jog-A-Thon sponsorship money collected by your child goes toward meeting your family’s annual fundraising obligation. Awards & Prizes! All students are eligible to win “Most Laps” awards and fundraising prizes. The Gator Spirit Award will be awarded to an 8th Grade student displaying excellent sportsmanship and school spirit. Class Color T-shirts! We will be selling t-shirts in your child’s class color for use on any of the free dress, class color days. The Jog-A-Thon is a well-supervised activity that occurs during the morning of an early-dismissal day. 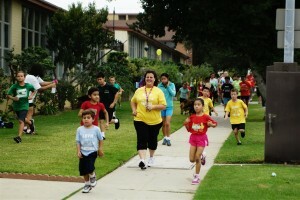 Virtus-trained parent volunteers are assigned to staff the Jog-A-Thon. All parents are welcome to attend the event as spectators, but we request that parents who have not been assigned to work at the Jog-A-Thon remain in the area of the bleachers to cheer on their children. 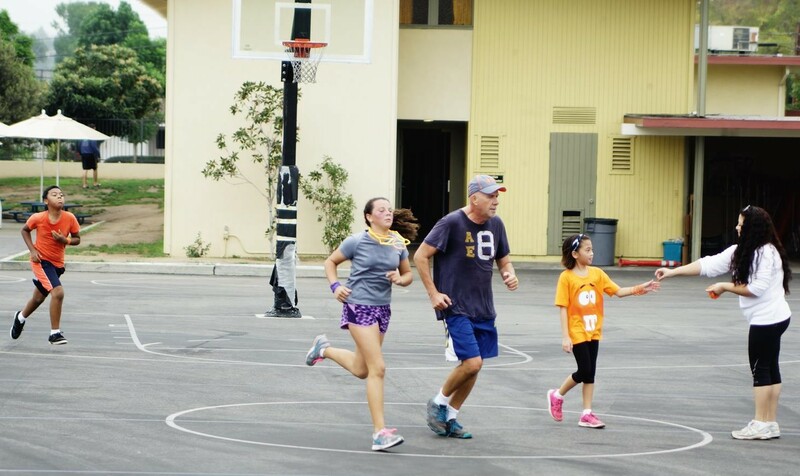 Beginning at 10 a.m., students will run, jog, or walk around a 1/3-mile course on the school campus for approximately 45 minutes, collecting a wristband with every lap completed. Wristbands will be counted to tally laps. After the Jog-A-Thon, students will collect their pledges and turn them in before the deadline. If you wish to take advantage of the fundraising opportunity, assist your child by suggesting family and friends as sponsors. We do not condone door-to-door solicitation. Students turning in sponsor sheets and money by the deadline will be eligible for fundraising prizes. The Jog-A-Thon info packet includes instructions with important dates as well as award and prize descriptions for your reference. Please look over the packet and review the information with your child. The single-page sponsor form is available in a separate downloadable file for ease of printing.